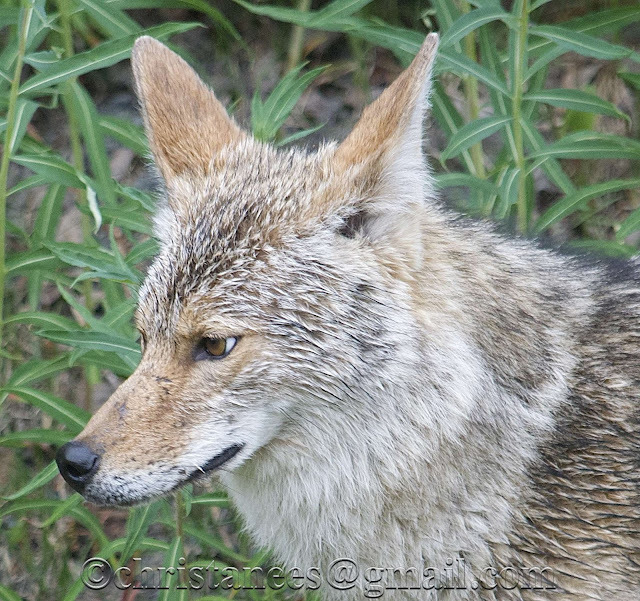 I spotted this Coyote the other day making its way along the roadside. I have seen several searching in ditches for roadside kills. They live on the land all around us. That is a beautiful shot and so very close! You got a lovely portrait of him. Thank you Diane. I thought the eyes were wonderful as well....he is keeping me in check as he walks by.